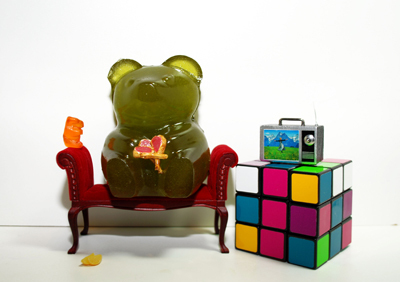 Mauricio Murillo is known for creating his humorous photographs using Gummy Bears and showing how they imitate human behavior, when left outside the package, in his cynical and hilarious manner. 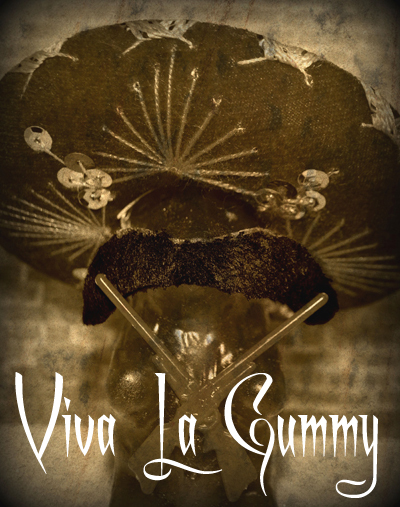 “Viva La Gummy” will bring the viewer deeper into the Gummy Bear world Murillo has created. 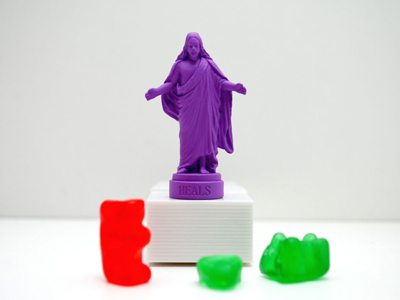 You will get the opportunity to see new portraits of iconic characters in the Gummy world, that lead to the revolution to be free from their human captives, in brand new hilarious photographs. 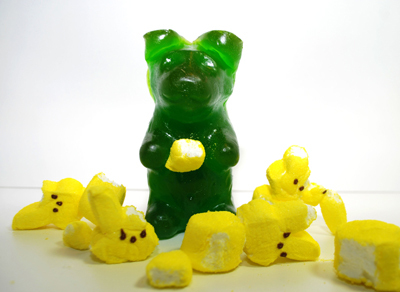 Expect everything from a sighting of the mythological creature known as the “Lone-Lee Monster” (known to terrorize and eat helpless gummy bears and small children) and a glimpse of Murillo’s street art installations that have a strong Mexican influence in his work, as well as new photographs of your favorite candy goodness getting into more comical situations. to the show! Then another 25 throughout the show for some luck winners. Mauricio Murillo is from Orlando, Florida where he was a graffiti artist and has now emerged as one of the most "out of the box" fine art/photographers in the New Brow genre. 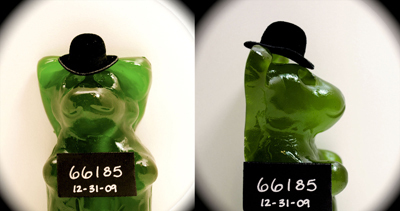 His humor, craftsmanship, and colorful depictions of life through a Gummy Bear's eyes have been winning acclaims and awards.